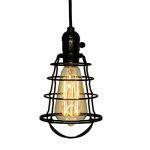 ►ETL Listed & UL Listed Metal Industrial Pendant Light Fixture. 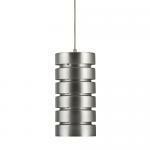 DIMMABLE FUNCTION AVAILABLE. 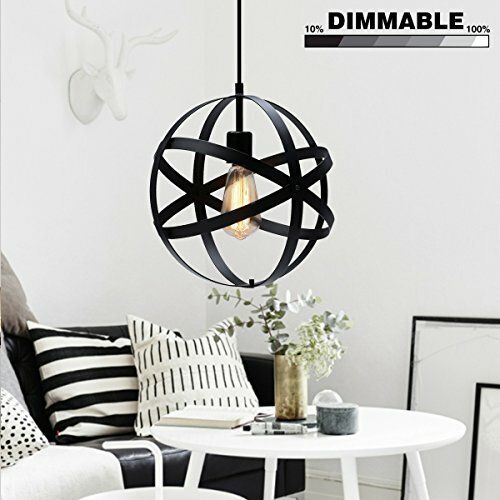 [Upgrade Version] KINGSO pendant light supports dimmable function if you install it with dimmable bulb and dimmable switch (not include). ►Size: Diameter of globe is 11.81 inch, the hanging line is adjustable (max length of 47.24 inch), you can choose the suitable cord length BEFORE INSTALLATION. 4.1 Pounds in Weight. ►Hard-wired. Base E26 (BULB NOT INCLUDED), Type of Bulb: Incandescent or LED. Well-package and Users' manual and Additional accessories, ensuring your installation. 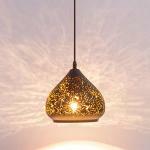 ►Traditional Design of Ceiling Pendant light, Be SAFER & CONCISE, no risk of electric shock of plug get wet or cord get bared accidentally. ►Warranty: KingSo offers satisfactory guarantee. Any question or suggestion is welcomed to email to cecvos@vip.163.com. We will response ASAP.